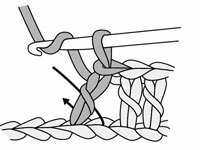 For the crossed double crochet stitch (abbreviated crossed dc), you work two double crochet stitches on an angle. When you make a crossed double crochet stitch, you end up with a pattern that looks like an X. 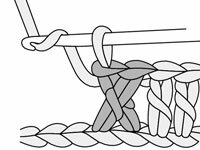 1Decide where you want to place the crossed double crochet stitch and skip a stitch at that point in the row. Don’t worry, you’ll be going back to that skipped stitch. 2Work 1 double crochet (dc) in the next stitch. Work the stitch one over from the skipped stitch. 3Work 1 double crochet in the stitch that you skipped. 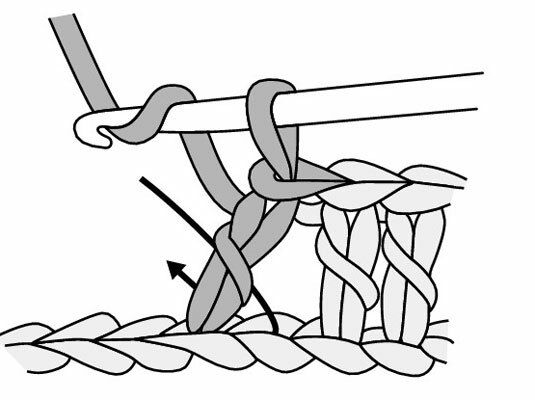 By working the double crochet behind or in front of the first double crochet stitch you complete the stitch. 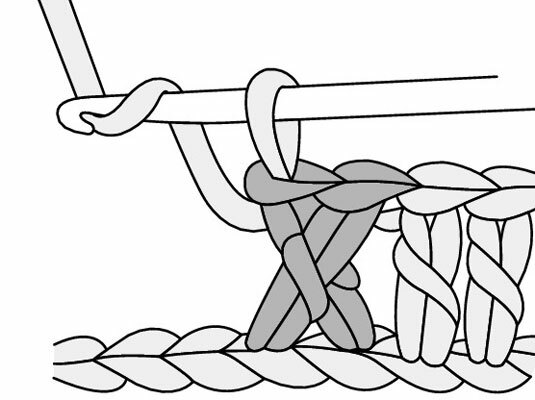 4Gaze in wonderment at your completed crossed double crochet stitch. 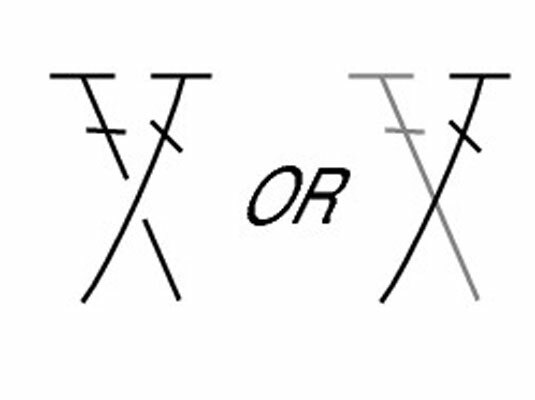 The completed stitch makes an X in the row. 5Repeat the preceding steps to continue working crossed double crochet stitches across the row. Stitch diagrams use symbols to give you a pictorial description of the pattern design — and may or may not include written directions. These are the symbols for a crossed double crochet stitch, either of which you might find in a crochet stitch diagram.